I am constantly shopping, which means when I travel I shop. There is nothing more perfect that finding something when you are abroad that is not only beautiful, but functional and one of a kind. It's like you can imagine someone asking you where you got that little souvenir, and you have to apologetically say "I got it in _______ (insert any exotic destination)." On my recent Asian travels I've been introduced to the store Shanghai Tang. A frequent mall find, imagine Banana Republic with an Far East Asian twist. The last time I visited it's store in Hong Kong I got a beautiful red cord bracelet with a jade piece in the center. 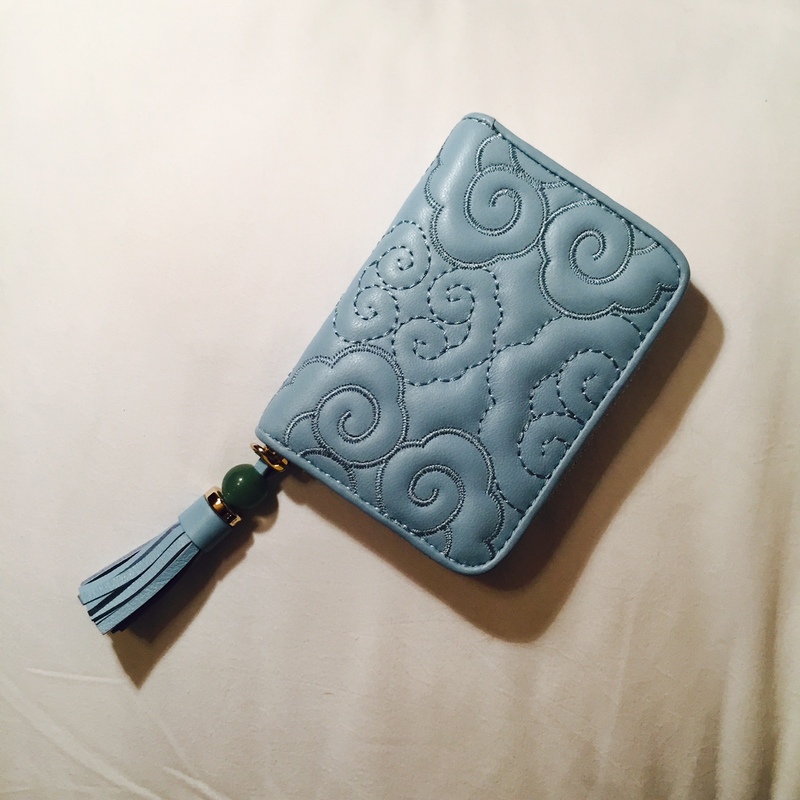 My latest acquisition, a baby blue quilted coin purse, also has a jade accent on it's side tassel. I had been searching for a coin purse that was just big enough to fill all my necessary IDs and credit cards, while also allowing me to put some change in it. This piece is one that I absolutely adore, and will look forward to using it on a daily basis!